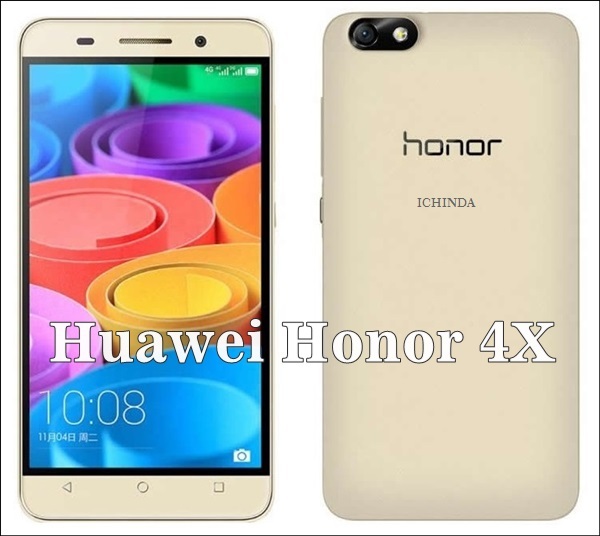 Looking for the best budget 4G smartphone than your search is overs, Chines smartphone maker, Huawei soon going to launch world’s best budget smartphone, Huawei Honor 4X with 4G LTE, 5.5-inch HD display, Android 4.4 kitkat, Snapdragon 410 processor , 13-MP+5-MP camera and powerful 3000mAh battery which expected launch in Indian market in Q1 by Feb or March 2015 priced Approx Rs 8,000 in Golden and White colour option. It will take on Lenovo A6000(Rs 6,999), Micromax Yu Yureak(Rs 8,999) and Xiaomi Redmi Note 4G(Rs 9,999) in budget phone market in India. Huawei Honor 4X sporting a 13-MP rear camera Sony/ OV with flashlight and auto-focus, using F2.0 large aperture, and support Panorama, HDR, Acoustic photographs, watermark pictures promising superior photography in low light and 5-MP front camera best for video calling and selfi. Huawei Honor 4X also packed with 3000mAh battery promising talk time up to 31 hours and standby time up to 580 hours and measures 152.9mm x 77.2mm x 8.65mm and weight 165gm. Rivals Lenovo A6000(Rs 6,999), Micromax Yu Yureak(Rs 8,999) and Xiaomi Redmi Note 4G(Rs 9,999). At last few honest word, Huawei Honor 4X coming to rule the Indian market. What you think? Please be open to give your view. A latest cheap smartphone with quality camera.